In this post, we will not only cover how to use Go to create a RESTful JSON API, but we will also talk about good RESTful design. If you have ever consumed an API in the past that doesn’t follow good design, then you end up writing bad code to consume a bad API. Hopefully, after this article you will have a better idea of what a well behaved API should look like. Before JSON, there was XML. Having used XML and JSON both, there is no question that JSON is the clear winner. I’m not going to cover in depth the concept of a JSON API, as it is detailed quite well on jsonapi.org. 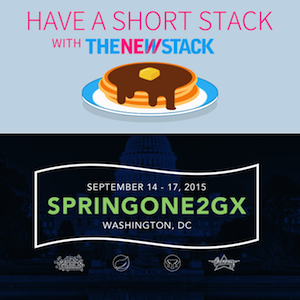 SpringOne2GX is a conference for app developers, solution and data architects. Sessions are specifically tailored for developers and architects using the popular open source Spring IO Projects, Groovy & Grails, Cloud Foundry, RabbitMQ, Redis, Geode, Hadoop and Tomcat technologies. While the standard library comes with a router, I find that most people are confused about how it works. I’ve used a couple of third party routers in my projects. Most notably I’ve used the mux router from the Gorilla Web Toolkit. Another popular router is from Julien Schmidt called httprouter. The above example creates a basic router, adds the route / and assigns the Index handler to run when that endpoint is called. You will also notice now that before we could ask for http://localhost:8080/foo and that worked. That will no longer work now as there is no route defined. Only http://localhost:8080 will be a valid response. Now that we have a router in place, it is time to create some more routes. Let’s assume that we are going to create a basic ToDo app. This is the beginning of a RESTful design. This will allow us to pass in id’s to the route and respond with the proper records. Now that we have routes in place, it’s time to create a basic Todo model that we can send and retrieve data with. In Go, a struct will typically serve as your model. Many other languages use classes for this purpose. Note that in the last line we create another type, called Todos, which is a slice (an ordered collection) of Todo. You will see where this becomes useful shortly. Now that we have a basic model, we can simulate a real response and mock out the TodoIndex with static data. For any seasoned veterans out there, you have already spotted a problem. As insignificant as it sounds, it’s not idiomatic JSON to have uppercased keys. Here is how you solve that. By adding struct tags you can control exactly what an how your struct will be marshalled to JSON. OK, We Need to Split This Up! At this point, the project needs a little refactoring. We have too much going on in just a few files. As part of our refactoring, we created a much more versatile routes file. This new file now utilizes a struct to contain more detailed information about the route. Specifically, we can now specify the action, such as GET, POST, DELETE, etc. In splitting up the routes file, I also had an ulterior motive. As you will see shortly, it now becomes very easy to decorate my http handlers with additional functionality. Let’s start with the ability to log out web requests like most modern web servers do. 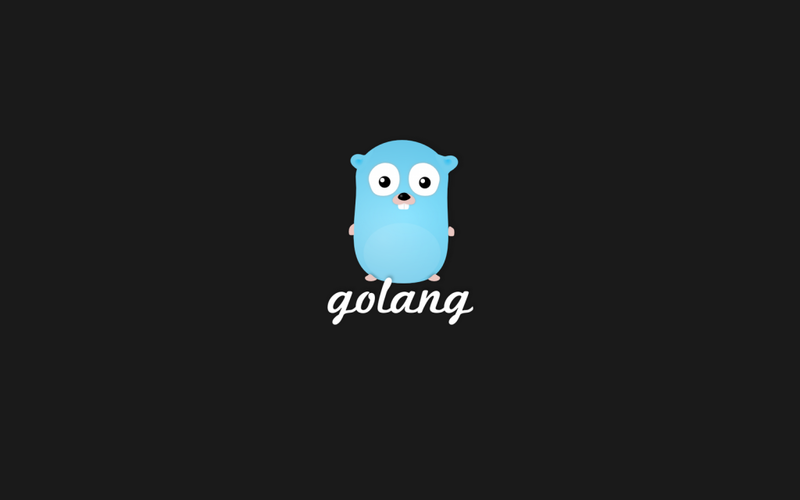 In Go, there is no web logging package or functionality in the standard library, so we have to create it. This is a very standard idiom in Go. Effectively we are going to pass our handler to this function, which will then wrap the passed handler with logging and timing functionality. Next, we will need to utilize the logger decorator in our routes. Two things are now happening. First, we are sending back our content type and telling the client to expect json. Second, we are explicitly setting the status code. Go’s net/http server would have tried to guess the output content type for us (it isn’t always accurate however), but since we definitively know the type, we should always set it ourselves. Wait, Where is my Database? Clearly if we are going to create a RESTful API, we would need somewhere to store and retrieve data. However, that is beyond the scope of this article, so we will simply create a very crude (and not thread safe) mock database. Now that we have a “mock” database, we are using and assigning id, so we will have to update our Todo struct accordingly. So far, we have only output JSON, now it’s time to take in and store some JSON. Now we have to add the create endpoint to the handlers file. The first thing we do is open up the body of the request. Notice that we use io.LimitReader. This is a good way to protect against malicious attacks on your server. Imagine if someone wanted to send you 500GBs of json! After we have read the body, we then Unmarshal it to our Todo struct. If that fails, we will do the right thing and not only respond with the appropriate status code, 422, but we will also send back the error in a json string. This will allow the client to understand not only that something went wrong, but we have the ability to communicate specifically what went wrong. Finally, if all has gone well, we send back the status code of 201, which means that the entity was successfully created. We also send back the json representation of entity we created, as it contains an id that the client will likely need for their next step. Version Control – What if we need to modify the API and that results in a breaking change? Might we add /v1/prefix to all our routes to start with? Create packages for several of these files, such as some JSON helpers, decorators, handlers, and more. Testing… oh yes, you can’t forget that. We didn’t do ANY testing here. For a production system, this is a must. The most important thing to me is to remember to be build a responsible API. Sending back proper status codes, content headers, etc is critical to having your API widely adopted. I hope this post gets you started on your own API soon! Cory LaNou is an experienced software developer with over two decades of experience, and two and a half years of production Go experience. He is currently a lead instructor at gSchool where he teaches Go and leads the local Denver Go meetup, aptly called Denver Gophers. Feature image from Startupitis. The image is available on the site to download as wallpaper.